Michael Rapino - Live Nation Entertainment, Inc.
Joe Berchtold - Live Nation Entertainment, Inc.
Kathy Willard - Live Nation Entertainment, Inc.
Amy Yong - Macquarie Capital (NYSE:USA), Inc.
Good afternoon. My name is Ebony and I will be your conference facilitator today. At this time, I would like to welcome everyone to the Live Nation Entertainment Third Quarter 2018 Conference Call. Today's conference is being recorded. All lines have been placed on mute to prevent any background noise. After the speakers' remarks, there will be a question-and-answer period. Before we begin, Live Nation has asked me to remind you that this afternoon's call will contain certain forward-looking statements that are subject to risks and uncertainties that could cause actual results to differ, including statements related to the company's anticipated financial performance, business prospects, new developments and similar matters. Please refer to the Live Nation's SEC filings including the risk factors and cautionary statements included in the company's most recent filings on Forms 10-K, 10-Q and 8-K for a description of risks and uncertainties that could impact the actual results. Live Nation will also refer to some non-GAAP measures on this call. In accordance with SEC Regulation G, Live Nation has provided full reconciliation of the most comparable GAAP measure in their earnings release. The release, reconciliations and other financial or statistical information to be discussed on this call can be found under the Investor Relations tab on investors.livenationentertainment.com. It is now my pleasure to turn the call over to Michael Rapino, President and Chief Executive Officer of Live Nation Entertainment. Please go ahead. Good afternoon and welcome to our third quarter 2018 conference call. Live Nation had its best quarter ever and we are on track to deliver another record year of results across revenue, AOI and free cash flow. For the quarter, revenue was up 11% and AOI was up 16%. And year-to-date, revenue was up 11%, AOI up 17%, and free cash flow was up 22%. All our divisions, Concerts, Ticketing and Sponsorship, each delivered their strongest quarterly AOI results ever. Our Concerts business is our flywheel, attracting over 33 million fans to shows globally in the quarter, up 12% year-over-year which then drove record results in our onsite Ticketing and Sponsorship business. Through October, we have sold 85 million tickets for concerts in 2018, up 6% year-on-year, and we were on track to sell over 90 million tickets this year. With our strength in concert attendance growing, we're also seeing similar success in our onsite Sponsorship and Ticketing business, giving us confidence that 2018 will be another year of record results for Live Nation overall and for each of our divisions. Starting with our Concerts division, it continued to show strong global demand for Concerts through the third quarter. We drove an 8% increase in attendance to 71 million fans attending over 24,000 shows across 40 countries, driving revenue up 11% and AOI up 29% year-to-date. We have also grown our show count by 17% year-to-date to 24,000 shows, at the same time we have increased the revenue generated by each show through pricing optimization. Across arenas and amphitheaters, our average ticket price is up 14%, driven by front of house pricing which is up 25%. Collectively, these increases have grown artist revenue by over $300 million across roughly 6,000 shows. This summer, we also saw growth onsite to our hospitality initiatives at our amphitheaters, increasing our average revenue per fan by nearly $3 to almost $27. This is an increase of more than $6 per fan over the past three years as we have driven substantial improvements across our food and beverage, VIP, and parking programs. With the success of our Concerts flywheel, we're promoting more shows for more fans, more effectively pricing and selling tickets, and delivering a better fan experience than ever before. As a result, we will spend over $6 billion producing concerts this year, making Live Nation far and away the largest financial partner to musicians. In our high-margin Sponsorship business, we have continued our double-digit growth this year, with revenue up 11%, and AOI up 12% year-to-date as we delivered our best quarterly results ever for Sponsorship business. With 1,000 sponsors across our on-site and online platforms, Live Nation is the global leader in music sponsorship, providing brands with an opportunity to reach our core millennial audience as we again add new branded partners this quarter including T-Mobile, Sony, Pennzoil, Sterling wine, and Subway. On-site continues to be a key growth driver, and year-to-date our festival Sponsorship business was up 12% as we continue to find innovative ways to scale and connect brands with nearly 9 million fans attending over 100 festivals worldwide. Other key growth initiative is deepening and broadening our strategic brand relationships with now over 70 sponsors investing on our platform across multiple fronts. Collectively, the committed spend by this group is up 13% to nearly $350 million for the year, accounting for approximately 75% of our overall Sponsorship & Advertising revenue. With over 95% of our expected Sponsorship revenue for the year now contracted, we are confident we will deliver double-digit AOI growth for the year. Ticketmaster continues building its position as the global ticketing marketplace leader, with 15% growth year-to-date in global fee-bearing GTV, driving revenue growth of 13%, and AOI growth of 11%.. Ticketmaster will deliver almost 500 million tickets worth approximately $31 billion GTV across 28 countries this year, making it the world's largest such marketplace. And the success of our marketplace is stronger than ever, as all three quarters in 2018 have been amongst the top five quarters ever for recognized GTV. During the third quarter, we continued our Presence digital ticketing rollout to NFL stadiums and many Live Nation buildings, bringing the install base to 177 venues. In the third quarter at these venues, we held over 1,500 events with over 3 million fans using mobile tickets for entry. We proved out the scalable capability of mobile ticket in the quarter with as many as 97% of the fans for some NFL games entering via mobile. For the fourth quarter, we expect digital ticketing growth to continue with another 10 million fans across 2,000 events, approximately 5 million of whom will enter using mobile tickets. The move to digital ticketing has meant that sports teams, venues and artists have much greater control over the ticket, enabling them to better control distribution, and ultimately the chain of custody for the tickets. Overall, Ticketmaster's results are validating our dual strategy of delivering a great marketplace for fans to buy tickets while providing the greatest enterprise tools to venues, teams and artists looking to control their tickets and maximize the value of their events. By continuing to do both effectively, I expect us to deliver high single-digit growth in Ticketing AOI this year. As we approach the end of 2018, we are confident that our strong performance will deliver another record year of top line AOI and free cash flow. All of our businesses, Concerts, Sponsorship and Ticketing have delivered growth year-to-date, and based on this key operating metrics, we expect each to deliver record revenue and AOI for the full year. As we look forward, we see tremendous opportunity to continue the global consolidation from our Concerts and Ticketing businesses and further growth in Sponsorship and Ticketing from the concerts' flywheel. With that, I will turn our call over to Joe to take you through more additional details on the divisional performance. Thanks, Michael. Looking at our business segments, first Concerts. Live Nation Concerts revenue in the third quarter was up 12%, and AOI was up 30%. This was the best quarter in Live Nation Concerts history with 33 million fans attending 7,700 shows, delivering fan growth of 3.6 million in this quarter alone and bringing our fan growth for the year to-date to 5.4 million. Overall, our ticket sales for shows this year has accelerated over the past three months, increasing from 4% growth back in July to now being at 6% growth for October. All parts of this business continue to do well led by our top global tours, including five tours that have each sold over a million tickets this year, Beyoncé and Jay-Z, Kevin Hart (08:53), Justin Timberlake, Pink and Bruno Mars. And for the quarter, our arena and amphitheater shows were the largest growth driver, each adding 5.2 million fans in the quarter. At the same time, our show counts and fan base (09:08) our festivals and theaters and pubs while we had our second strongest stadium year ever trailing only last year. Looking at the fourth quarter, we see continued strong performance in our North America arena and theater and club shows, while internationally we are comping a very strong Q4 last year that had unusually heavy touring activity with U2, Coldplay and Bruno Mars all out. Turning to our Sponsorship & Advertising business. Sponsorship & Advertising revenue for the third quarter grew by 8% and AOI was up 8% as well. Our growth for the year has been strong across both Sponsorship and online Advertising businesses with both growing revenue and AOI in the double digits year-to-date. And from a geographic perspective, both our North America and International markets have contributed similarly to our Sponsorship growth, while North America has driven our online advertising growth. Finally, Ticketmaster. For the quarter, Ticketmaster revenue was up 8% and AOI was up 1%. Global GTV was up 3% for the quarter and 7% year-to-date, driven by fee-bearing GTV which was up 13% and 15% for the quarter and year-to-date respectively. Primary GTV was up 13% for the quarter and 14% year-to-date, and secondary GTV was up 11% for the quarter and is now up 22% year-to-date. As in the past, concerts, and particularly Live Nation concerts, are the largest growth driver of our Ticketing business. Ticketmaster remains first and foremost the world's top ticketing marketplace for artists, sports teams and venues to sell tickets to their fans with primary ticketing representing over 90% of our global GTV, and only approximately 2% of our concert tickets and 4% of our sports tickets are resold on our secondary platform. Michael gave you an update on the success we're having with our digital ticketing rollout, and at the same time we're continuing to see an overall shift in ticket sales to our mobile platform. We sold 45% of our tickets in the third quarter on mobile with sales up 37% year-on-year as we increased mobile visits by 27% and grew our app downloads by 30% to over 50 million. These results make it clear that the tickets have made the shift to mobile, giving us even greater confidence that digital ticketing will be rapidly adopted. Finally, our open distribution strategy continued selling more tickets for clients off-platform, up 23% with almost 12 million tickets sold year-to-date. And while margins move around quarter-to-quarter, we expect full year margins for Ticketing to be in line with last year. In summary, we're confident that 2018 will be another year of record revenue in AOI results overall and for each of our businesses. On FX, Q3 revenue and AOI were negatively impacted by about 1% with the strengthening of the U.S. dollar. And for the full year, we expect the impact to be less than 1%. Looking at Q4, we expect another strong Concerts onsale for next year, which we project to drive up to $10 million in advertising expense growth, along with increased deferrals in Ticketmaster's recognition of Live Nation concert tickets. And I will now turn the call over to Kathy to go through more on our financial results. Thanks, Joe, and good afternoon, everyone. Our key financial highlights for the third quarter of 2018, our revenue was up 11% to $3.8 billion. AOI increased 16% to $386 million and free cash flow adjusted was $307 million, up 21% all compared to the third quarter of 2017. As of September 30, our deferred revenue related to future shows was $759 million. Revenue growth was driven by all our segments with the majority of the growth coming from Concerts, up 12%, from higher attendance and increased show count primarily in amphitheaters and arenas. Our AOI growth of 16% for the third quarter was also driven by the Concerts segment, which delivered 30% AOI growth. Operating income was $234 million, an increase of 16% compared to the prior year, and our net income for the quarter was $173 million, up 27% over last year both driven by the growth in AOI. For the third quarter, the impact to earnings per share from the accretion of redeemable non-controlling interest was $21 million, consistent with the same period last year. For the nine months of 2018, revenue was up 11% to $8.2 billion. AOI increased by 17% to $761 million and free cash flow adjusted was $529 million, up 22% compared to the prior year. Revenue growth for the nine months was driven by solid growth across all our segments. Concerts grew by a 11%, again delivering the majority of the revenue growth due to increased amphitheater and arena activity, along with the higher onsite spend per fan in our amphitheaters. Sponsorship and Advertising also grew by 11% and Ticketing revenue was up 13%. AOI through September was up 17% as each segment delivered double-digit growth. Operating income was up 24% to $363 million. Driven by the increase in AOI, it was also impacted by slightly higher depreciation and amortization expense. Net income for the nine months was $208 million, up 13% due to our growth in operating income after higher interest expense from our debt refinancing. For the 9 months, the impact to earnings per share from the accretion of redeemable non-controlling interest was 54 million and we currently estimate that the impact for the full year will be approximately $77 million. Moving to our balance sheet, as of September 30, we had total cash of $1.9 billion, including $734 million in Ticketing client cash and $553 million in net Concert event-related cash, with free cash of $613 million. As you look at our working capital accounts on the balance sheet, the growth over December of 2017 is driven by the normal seasonality of the business at this time of year and a bit higher given the overall growth of the business since last year. Net cash provided by operating activities for the nine months was $256 million compared to $418 million in 2017. To maintain just the working capital where the receivables increased, driven by the higher Concert activity in the third quarter and accrued liabilities were down because of the payment of the legal settlement accrued last year. Free cash flow adjusted through September was $529 million, an increase of 22% over last year. Our total capital expenditures were $169 million for the nine months, of which 53% was spent on revenue generating items. We currently estimate that total capital expenditures for 2018 will be approximately $250 million, roughly half of which will be spent on revenue generating CapEx. As of September 30, our total net debt was $2.8 billion and our weighted average cost of debt was 4.1%. For the fourth quarter of 2018, we currently expect that stock-based compensation expense and acquisition expenses will be in line with the third quarter of this year. Thank you for joining us today. Operator, we will now open the call for questions. Thank you. And we will take our first question from Brandon Ross with BTIG. Please go ahead. Hi. Thanks for taking the questions, I have a few. For Michael, you mentioned ticket pricing optimization in the prepared remarks. I guess the expansion of platinum ticketing and price increases were a big part of the strategy this year. Do you expect this as something that we're going to see a lot more of in 2019? Is there still a lot of room there? And what has been the feedback from artists and fans? Then I have some follow-up. Thanks, Brandon. Yeah, we believe that we kind of had this theme we've talked about for a while on tickets continually be probably the most inefficiently priced product in the world. I mean, there is literally no other product in the world that is worth more than it's sold a second later. Generally, what you do is you increase your price. But we know we had this balance of the artist, this incredible brand manager and he has to find that fine line of what does Bruce Springsteen charge for the front row versus what the market will bear. So we know that we don't expect the business to be completely efficient market-wise because it will probably be a contradiction to maybe what the artist stands for, but we do know that $8 billion number is that they throw around on the size of the secondary market with the price gap. We do know every year the artist is looking more and more at, I have to figure out through VIP Platinum P1 (18:57) how to charge more for the front because I can't continually let it just be sold on the secondary market. So we think we're in that first, second inning of that game. We think there's a long great path forward where the artists will continually look to increase the pricing. Now, the advantage is we get to decrease the pricing in the back part of the house. Generally, our problem, in any concert, we never have the back sold but not the front. As you know, the house usually is, the front is sold and we're trying to fill the rest of the house. So the lower we can price the backend and the higher we can price the frontend is the optimate pricing for both the gross and for sell-through. So this is just a new kind of concept of dynamic pricing and increasing the pricing in the front. We're in the first or second inning and we think we have lots of pricing opportunity for years to come. Great. And then I was wondering if you could unpack your outlook for especially Ticketing a little bit. How will the timing of onsales this year versus last impact the phasing of AOI at Ticketmaster between Q4 and 2019 and maybe how accounting changes here and abroad may also impact AOI at Ticketing? Yeah, Brandon. I'll take a leap for the first part. This is Joe. Our expectation is, is that next year is going to be another very good year. As I've said in some of my comments, we see a strong setup of onsales in Q4, the benefit of which is certainly on the Ticketing side with Ticketmaster recognizing a number of those tickets, particularly the non-Live Nation side of any tickets that get sold in Q4. Part of the impact is also on the Concerts side. Through the accounting, you expense your advertising for non-sale when – in the period it takes place. So our large onsales that we'll have as we do particularly a stadium, big arena tours will be recognized in Q4 in in the Concerts part of the business. And then I'll let Kathy speak to what the accounting means for some of the recognition. Yeah. And it's less about changes next year versus this year in the accounting, it's more just the fact that we're expecting more of those tickets to be sold for Live Nation events by Ticketmaster, and because of that, for the tickets we control, we defer those to next year. So that's what Joe was addressing in his prepared remarks on that. Great. And then just one more. Your acquisition strategy has generally been to use cash to fund your inorganic growth. And as rates come up and the environment changes a little bit, do you expect to only continue to do cash acquisitions, or would you consider starting to use your stock a little more as well? No, we absolutely consider both and we'll look depending on the size of the acquisition. Obviously, our cash, we're pretty happy with our debt structure right now but have room in our leverage ratio. We're in a pretty comfortable space, so we'll look at overall the AOI that'll be coming in and start to consider at least a combination of cash and stock on bigger deals. And our next question will come from David Karnovsky with JPMorgan. Please go ahead. Hi. Thank you. With the on-site, you've had tremendous growth over the past few seasons. What further opportunity do you see at the North America amphitheaters? And then just beyond that, what's the opportunity to take those best practices from the amps to the festivals and then maybe to the clubs and theaters as well? Sure. This is Joe, David. As we said, we're at about $27 per fan right now. When we benchmark the sports fees, they're in the 30s, so we think there continues to be good opportunity for continued growth over the next several years by further honing the offer, the VIP offer, all of the other ancillary services that we have. So we're very optimistic. We think the organizational change we put in place at the end of last year to get more focus on execution to the amps has helped a lot this year and the continued growth there. So we think there's quite a bit more to continue to move. And absolutely we are taking learnings that we're getting here. We've brought them into the theatre and club business particularly in North America already, very focused on the VIP offerings there, focused on our beverage service, what we have, our points of sale, our mix and so on. And I think festivals are more individualized given the thematic of the festival, but absolutely starting to roll some of that out there, too. Okay. And then just regarding your commentary for concerts in Q4, I think you mentioned North America would be strong but measured against international tough comp. And then is there any way you can sort of frame your outlook for concerts in the aggregate for Q4? No. Nothing more than we've already given. Our next question will come from Amy Yong with Macquarie. Please go ahead. 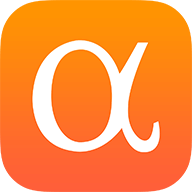 Amy Yong - Macquarie Capital (USA), Inc. Thank you. So two questions. First, I was wondering if you can talk a little bit more about your acquisition pipeline. It looks like you acquired an asset in Brazil this quarter. Are there any other geographic markets that you're focused on either on the Events or Ticketing side? And my second question is there's been a lot of questions I think from investors on the upcoming FTC workshop in Ticketing, can you just talk through some of the details around this, whatever you're willing to share either the process or some of the issues that they're depressing on? Thank you. Thanks, Amy. We continue as we have historically. We think there are lots of great bolt-on acquisitions that are generally accretive as we're buying them. We're in over 40 countries now. So we look at building on where we already have a business. So in those 40 countries, we're always looking for ongoing festivals or established promoters or music venues that can build on our business and grow our core business. So we kind of look at it on a global basis and have a running acquisition list of things we're exploring. I'd say all of – there's no one country that's more important than the other, we see growth in all of it. U.S. as you've all seen, the last few years has been growing and we think the U.S. has lots of growth left. We have a lot of markets where we're underdeveloped still in cities, Miami and Florida, Los Angeles, Denver, Seattle, we have a lot of markets where we can still grow our business. Canada is a big opportunity, Australia, South America, as you've seen us move over the last few years. So what we love about this business is actually the global opportunity on a bolt-on strategy with really no regulations on a local basis. So it allows us to move into these countries like Argentina and Brazil and Milan and in Cape Town. And if there's a great international promoter or a festival, we can instantly buy that and build it into our global platform and power accretively instantly. So what we – we have a long list of businesses we look at across the globe and we think that will keep – you'll keep hearing about an ongoing story of the bolt-on to keep building our business. Joe will fill you in on the TM. Yes. Yeah. So Amy, on the FTC workshop, just to be clear, the FTC in our conversations with them have told us this workshop has been long in the works, well predates any of that press cycles that existed around various assertions that as we've answered with the Senate and elsewhere were largely misleading about. But the FTC workshop, to our understanding, is going to focus on a wide variety of practices in ticketing, it's going to focus on speculative ticket sales, which is basically ticket sales where the ticker doesn't actually exist. It's going to focus on fraudulent advertising and the use of misleading websites. It's going to focus on the use of bots, all three of which, to be clear, Ticketmaster doesn't participate in. We're the only major secondary site that doesn't do spec selling, doesn't – we certainly don't use fraudulent advertising and our policy is not to allow bots – is first to try stop bots and secondly, to not let people who use bots post their tickets. So we think there's going to be a whole host of topics and we're going to fully participate. We applaud the fact that the workshop is taking place and we think that there'll be a lot more transparency and accurate information coming out of it. We'll take our next question from Ryan Sundby with William Blair. Please go ahead. Yeah, hi. Thanks for taking my question. Just wanted to ask on Presence. So Q4 10 million fans expected to enter $5 million on mobile. What's, I guess, the barrier there to getting that $5 million up to a higher number at some point? Well, it's not – this is Joe. It's not really – the reason why it's $5 million versus $10 million is the decision by teams whether or not paper tickets for season ticket holders are also issued in addition to the use of the mobile tickets. There are some teams that have already switched to mobile only with the exception of people that have indicated an issue, that's what we talked about up to 97% of the people entering a game on a mobile ticket. So it's our expectation that as teams get more comfortable with the technology, they see it working, they see other teams that are the leaders able to get 97% plus in without any issues, we'll have more and more teams adopting the use of all mobile. Got it. Okay. Yeah. That makes sense. And then I guess following up on – I'm bringing this question on pricing. Are you seeing kind of pricing across the board with all artists, so everyone taking a little bit more pricing equally, or are there a couple of artists that are kind of pricing much closer to market value and then you've got a kind of a pool of artists you need to go back and address in the future? No, it's across the board. There would be – generally, every artist is probably underpricing this product, might just be the one front row or it might be the first 17 rows depending how big you're for an arena or a stadium. But generally, artists underprice their product and all have opportunity to increase their pricing. Okay, great. And then I guess back to the digital ticketing, as you – as your data kind of improves on who's coming to the shows and their behavior there, when you think about sponsorship and advertising, the 70 partners that drive 75% of the revenue, how has that changed? Do you think you have room for more partners that drive a big chunk like that, or is it those 70s and even more? I think it's both. I think those 70 absolutely have already shown their commitment to music and to our business reaching these millennial fans. And when they can get an even tighter connection they will absolutely be spending more because they'll be getting the results from their sponsorship. And there continue to be a number of categories and markets where we have sponsorship opportunities, and I think this just makes our product all the more attractive in general for all of those potential sponsors. And I'm just going to jump on that. The core of the digital ticket unlocks multiple revenue avenues for us as well as just a better way to do business. Right now, as we've talked about, we have 16,000 barcodes that walked in the arena. I don't know who those barcodes generally are, if they've changed hands. In the future, we're going to have 16 (32:04) digital tickets walk in that building that are scanned. So, we're going know who those 16,000 people – we're going to have a one-on-one dialogue with them. So yes, our data increases tremendously on knowing all about the customers that go to our shows, so that's obviously very valuable for sponsors. But two, we also get to talk to the fans at the show. It really opens up the how do you correspond with these 16,000 people that walked in a concert. Do you upsell them when they're walking, do you know what seats they're in, are they getting a beer or are they buying a T-shirt? So you really bring to life those 90 million customers that go to a Live Nation show we talk about that generally we haven't been able to actually sell once they walk in the door. We're good at getting them to the door. We're good at talking to them weeks before the show. We haven't had any technology to-date that lets us talk to them while they're at the most important place: the show, the festival, the pre-show, the after show. So we get to talk to them while they're at the show, provides incredible revenue opportunities. Also, just you're at a country show, we can talk to you about – do you want to go next Friday, we have tickets available for another show. So the dialogue that we get to create with this engaged customer base when a digital ticket turns a barcode into a customer both before the show and at the show provides incredible opportunities for our Concert division and our Sponsorship division. Our next question will come from David Joyce with Evercore ISI. Please go ahead. Thank you. Could you please talk about the Ticketmaster margins? I know you've already guided to similar margins to last year and also in the past you've talked about obviously managing to cash flow growth instead of the margins themselves, but could you please discuss what the impacts are on the margins from the mix of international ticketing businesses which are typically lower, and from the investment level on continually redeveloping Ticketmaster? Just help us think about what the impacts are there and why the impact of higher volumes are not resulting in higher margins. Thank you. Yeah. I mean, David, just again just to make sure we frame this, year-to-date, our revenue is up 13% and our AOI is up 11%. And I indicated that for the full year, our margins are expected to be flat. So that's the overall context of it. It's a very stable business, and yes, we continue to make substantial investments in areas like digital ticketing which is, as Michael just went through, for a lot of reasons massive change in the Ticketing business that'll have a dramatic benefit on Concerts side of the business, on our Sponsorship side of the business, so that flows through elsewhere. So part of it is divisional accounting may track costs in one area and benefits in another on some levels. But it is also, yes, our investments on ticketing throughout the world. International ticketing continues to grow well which, as we've talked about, is generally a lower margin. We're continuing to focus and invest in our theaters and clubs, do-it-yourself business where we have 25,000 shows, 25 million fans a year which we think is very important to continue to develop high-quality tools for the artists. And those tend to be lower margin tickets due to their general simplicity relative to what exists at the arena, amphitheater or stadium level. So we'll continue to grow the business across all fronts, and I think continue to deliver strong AOI growth against that. And we'll take our next question from Doug Arthur with Huber Research. Please go ahead. Yeah, thanks. Just continuing on the margin theme, I mean, on the flip side, the really impressive margin improvement in the huge Concerts segment, and I know you've talked about the pricing in the house and the revenue per attendee going up, scheduling improvements, but what's sort of driving that overall and how much more progress can you make on margins in the Concerts segment? Hey Doug, this is Joe. I think you gave the two big drivers which is we continue to grow the high margin food and beverage, ancillaries per fan, that flows through very well. And then secondly, pricing inherently flows through very well also. So those are the two biggest drivers. For all the reasons that we talked about before not being margin obsessed, I don't think we're focused on what exactly can that be because we'll continue to grow our business in stadiums and arenas and other buildings that may be more traditional margins as opposed to our buildings which will be higher margins. We'll have different mix year-to-year. We thought this year is a heavier amphitheater mix. We've also got arena growth so those fluctuations and the fact that we are overall just focused and obsessed on growing the business and growing profitably means that we're not going to be as determined as we think about that margin number. ...specifically internationally. Does that does help your margins when that's true? Well on a relative basis, your amphitheaters are going to because of your average per fan revenue you get from the onsite, it's going to be your highest margin customer, if you will. So in a year we've got relatively more amphitheaters than, yes, that's going to help your margin. Right. Okay, great. Thank you very much. But Doug, we've always talked – we're growing our business – it's more important on our scale flywheel to grow than for me just to select amphitheater shows that are higher margin and at the expense of stadiums or other shows, right? So we know that if we get 90 million customers in our flywheel on a positive basis that we can sell them more food, we can sell them more sponsors, we can sell them more ticketing services, all the other higher margin businesses than the low margin flywheel. So our first goal is we will continue to grow the global market share of the Live business which we still have great opportunities in, with that then we'll also be able to grow across our businesses that we scale from that flywheel. Got it. Got it. Thank you. And there are no further telephone questions at this time. This does conclude today's conference. Thank you for your participation. You may now disconnect.